Public speaking can be a joy when you know the secret. I used to dread being asked to speak. The bigger, the more unknown the audience the worse it was. The fear would sit in my belly for weeks or days beforehand, a corrosive acid gradually spreading through me until the terrifying event. One day however, I was able to make a major mind shift. I came to a realization that banished my fear of public speaking for good. Since then, I’ve become a well renowned speaker, in demand for my clarity and humor. 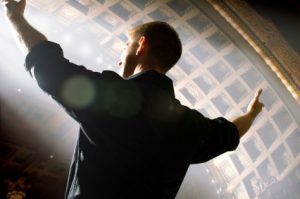 If there is one secret to becoming a confident, able public speaker it is this mind shift. It happened to me once I started really listening to more and more speeches. I went to seminars. I joined my local Toastmasters. I listened and watched speakers carefully. And I realized that the vast majority of speakers do little more than impart information. Most speeches are actually rather boring, especially in the context of the workplace. Then I started thinking. You know what? It would take very little to ‘lift’ a speech. To take it from merely imparting information to actually entertaining people – including yourself. In this way, speech making could be fun. Most people, especially when doing a speech take themselves far too seriously. The secret of great public speaking is to see the job as not only sharing information but entertaining and delighting your audience. 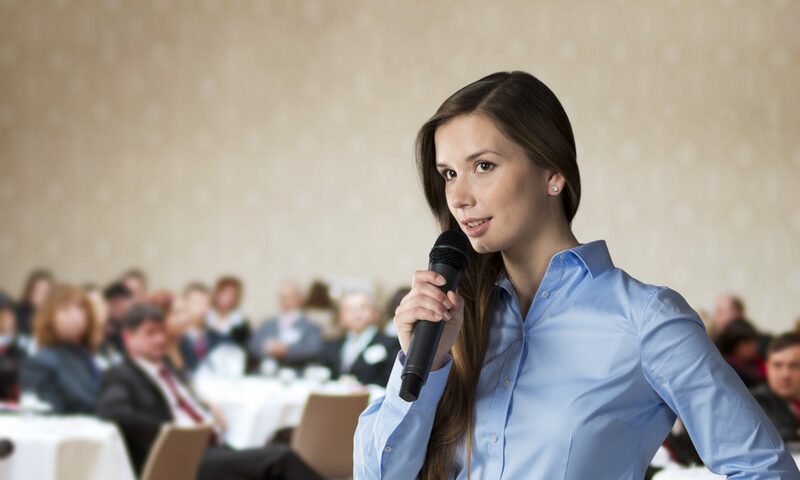 The secret to transforming public speaking from a dull recount of information to something juicy and entertaining is to come up with a surprising and funny opening. That’s really all you need. Once you have that, tired, skeptical audiences completely change their view of you. They realize, ‘at last, here is someone who is going to entertain us, charm us and have some fun!’ It’s very rare. So, every public speaking task I’m now faced with – I start with one important job: Finding a single story or remark to include at the start of my speech that will set this tone and gain the excitement of an audience. From there, it’s so easy to build material on. You find you actually look forward to giving the speech because the audience reaction can be so delicious. You anticipate joy and fun rather than terror. Well, I should give you an example. I recall a speech given by the late David Lange (former Prime Minister of New Zealand). His opponent (and then Prime Minister) had just spoken at a University gathering. It was a strong but solely informative speech. Lange stood up and said in response, “Well, that was all a bit like a wonder bra – very uplifting but didn’t fool anybody.” From then, the student audience – not knowing what he would say next, were entertained, tickled and all ears for more! The secret of great public speaking starts with a surprising and entertaining opening that turns the whole task from boredom to charm and delight. Try it in your own public speaking tasks and material. You’ll be surprised how it can transform things. For more specific speech training, please join our online video public speaking course at SpeechSchool.TV. Public Speaking Stress: Speech Writing Service Hacks to Keep Calm & Keep on Talking! How do you learn the English accent?